English 3P Honors will focus on American Literature and Composition. The content will provide a survey of the major literary forms, topics and themes across the history of the United States from pre-colonial times to present day. Students will focus on the major literary forms of the emerging nation, analyze the literary themes and trends, and research and compose several papers, speeches, and presentations using representative forms of discourse. The addition of “Honors” to the course title implies that students can read and write independently and with minimal support. 1. What defines America? What defines the “American”? How have those definitions changed over time? How does power influence those definitions? 2. How do historical events inspire artistic and cultural movements? 3. How has art and literature in the United States helped define “America” as an idea and the “American” as a character across time? 4. How does art and literature empower/ disempower groups of people in the United States? 5. 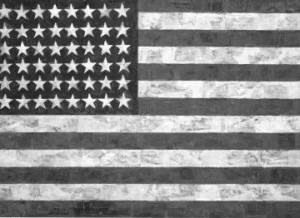 How have writers and artists influenced current “American” values and politics?